The average estate planning checklist includes a series of steps that all go toward properly covering your wealth management bases. 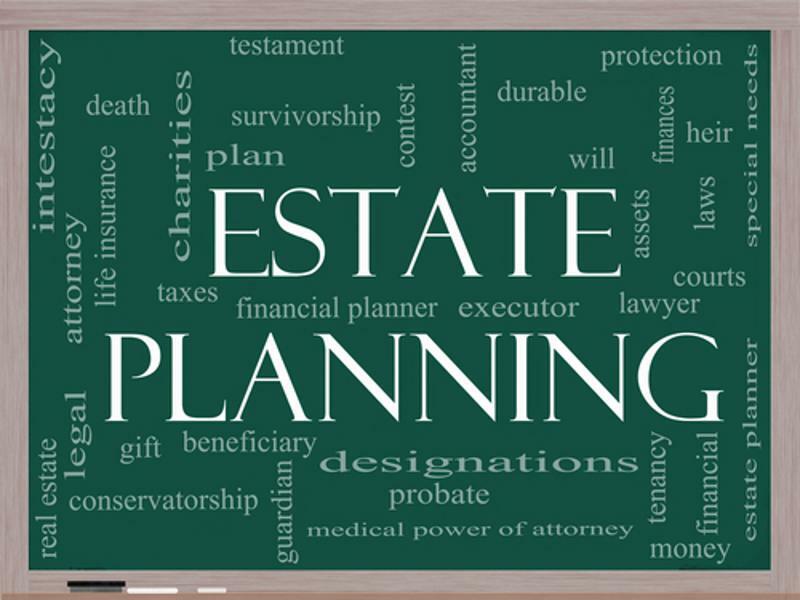 Based on several polls, however, a substantial portion of the country has yet to take the most important estate planning step of them all: making a will. "A majority of Americans don't have a last will and testament in place." According to a 2016 Gallup survey, just 44 percent of Americans have a will in place, detailing how they'd like their property to be distributed among their heirs after they pass away. In a more recent poll by Caring.com, will planning is even less common, with a mere 42 percent of respondents having this estate planning document set up. Craig Dacy, a financial advisor based out of Texas, said he believes the lack of preparation stems from people avoiding a sensitive subject. "I think many Americans avoid setting up a will because they simply don't want to think about their death," Dacy told Caring.com. "However, setting up a will not only takes care of your loved ones financially, it can save them a lot of emotional stress after you're gone. Perhaps unsurprisingly, will estate planning is largely a function of where Americans are in life in terms of age. For instance, over two-thirds of respondents in the Gallup poll aged 65 or older acknowledged having a will in place. The likelihood lowers with age, evidenced by the 56 percent of 50- to 64-year-olds who have wills, 35 percent of 30- to 49-year-olds and just 14 percent of 18- to 29-year-olds. Furthermore, the percentage of Americans with wills is down across the board, from 78 percent in 2005 among those 65 and over, 63 percent for those aged 50 to 64, approximately 43 percent for people aged 30 to 49 and 24 percent for people aged 18 to 29. There's nothing pleasant about legacy planning, particularly as it pertains to end-of-life considerations. However, having a will set up can give your loved ones the direction and protection they need to make the most of your assets, according to your wishes. You accumulate a lot over the course of life, some of it more valuable than others. You'll want to specify the assets that you'd like to bequeath to your heirs before you decide who gets what. Make out a list of them all. Items and valuables may include furniture, heirlooms, antiques and jewelry. Financial assets like bank accounts, credit cards, retirement vehicles such as 401(k)s and other investment should also be jotted down. The executor is the person that, in effect, puts your will's intentions in motion. Although executors typically are family members - such as children, grandchildren or younger siblings - they don't have to be. Whoever you choose, make sure the person is aware of it before you make it official. The first step in estate planning is making a will. Just as you have life insurance beneficiaries, you'll need to identify the people to whom you'll bequeath your various assets. Similar to executors, beneficiaries are usually family members, but friends and neighbors can be as well. In fact, what you leave behind doesn't have to go to a person but an organization if you'd prefer, such as a favorite charity or nonprofit. If you're a parent with small children, an untimely passing could leave your kids without anyone to provide for their emotional and material well-being. Even if you're married, decide on someone you trust and has the financial means to raise your young ones. Although it's common to make guardians and trustees the same person, financial experts caution against this because it risks consolidating too much authority to one person, according to the U.S. News & World Report. Generally speaking, the trustee manages the assets you're leaving to your children, while the guardian is responsible for your children's upbringing. It isn't enough for you to write out your will. You also have to sign it to make it official. However, don't do it alone. At least two witnesses need to be in your presence to provide the necessary corroboration. You may also need to get your will notarized by a notary public. Global Financial Distributors specializes in estate planning, featuring a proprietary program Leveraged Planning®. Leveraged Planning® is available to both individuals as well as business that help pay the premiums of a high-value life insurance policy. For more on how Leveraged Planning® works, please fill out our online form.